Now I've had a chance to peek through the codex itself, I'm feeling... Okay? About everything. The changes to Celestine and the Geminiae are frustrating, as are all the This Unit Doesn't Use A Slot rigmarole, but the new Faith system doesn't look bad. It's not great, and no way near as good as II:2's system, but it's certainly superior to the WD and 6th ed systems. Most everything looks roughly the same as before. The Relics are nice, as are the Order Convictions. Though I'd prefer the latter to be less tied into the Faith system. I'm gonna need to play some games, I reckon. Ive heard that the Eviscerator has been removed. Is this true? It is still there, renamed as Penitent Eviscerator. It is only available to Repentia as far as I can see. I don’t know the Index well but if Priest used to have the option to take them then yes they have been removed as neither the Preacher nor the Missionary has the option. The Canoness could take the Eviserator as well (it was part of the CCW weapons list)... if it has gone then thats a massive bummer as two of my priest models have one as well! Edited by Slasher956, 15 December 2018 - 10:52 AM. I see, my mistake, so yes they are defiantly gone. Ouch! Why the blue blazes would it be gone?! Its not like they can say that they dont make the model- the cannoness comes with an eviscerator in her pack! Please tell me the blade of admonition is still there. Mellee got truly shafted if thats gone too. Edited by Slasher956, 15 December 2018 - 11:44 AM. It is, someone else will need to confirm if it is still the same though. A reminder. All of the topics in that forum are for the Beta Codex ONLY. Any off topic posts will be removed. Where possible, any quotes of the Codex should have the page number added, for easier reference. Ideally, members should read the Codex and take their time before posting. We're all excited and want to help by posting anything relevant. That said, posting in haste will not do any of us any favours. Let's take our time and digest the Codex properly and work together, okay? Since our store didn't get their copies yet, what is the word on detachments? What is our faction keyword and what units determine it? Is it still Adepta Sororitas like it is in CA2017? Is it Adeptus Ministorum like in the index? Is it something else entirely? I'm basically trying to figure out if Ministorum units break Objective Secured and the ability to take the stratagems like they do in CA2017. The only thing reviewers have read is the part about Ministorum units not breaking Order Convictions just like Servitors don't break Chapter Tactics. Though that does bring up a question. Ministorum Priests were split into two units. Is there any indication that Missionaries or Preachers actually replace the Ministorum Priest option? If not, what prevents us from taking all three? 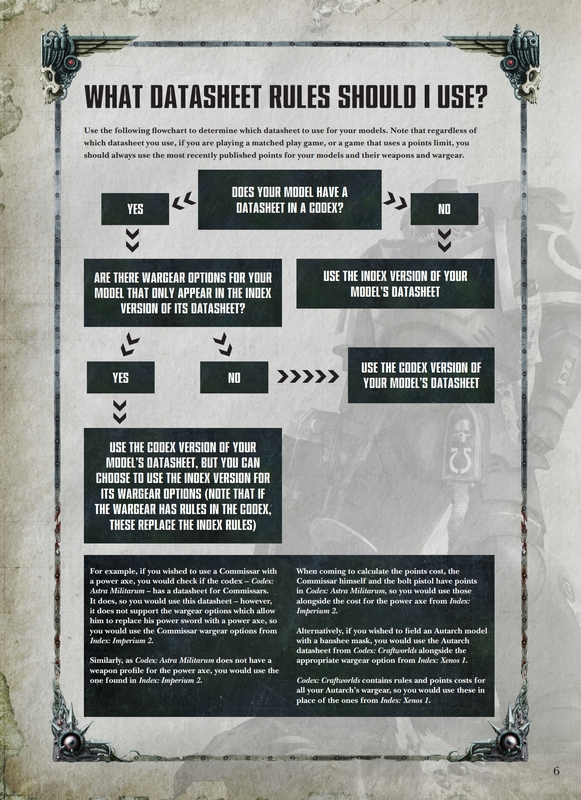 So, the first line of any feedback sent should be: Cannonesses should get Eviscerators back! Question - do any of our relics give us a jump pack like effects? Edited by Slasher956, 15 December 2018 - 02:10 PM. Battlescribe uploaded the beta dex. A lot faster than I was expecting. I thought it'd be at least a day or so. The Mistress and the twins are under the "No force Org" slot. Issue 3 why remove evissorators? Eviserators, model wise can only be found with Repentia. So probably that. A shame though. Ah. I don't have any actual priest models.